Rick Penniman passed suddenly on March 12, 2019 at his home. He was born in Cornwall, VT, and grew up in St. Johnsbury, VT where he graduated from St. Johnsbury Academy. He spent the last 32 years of his life at his home in New Gloucester. Rick leaves behind his wife Deborah Weaver Penniman; his sons Richard E. Penniman and his love, Sherry; Scott W. Penniman and his love, Melissa; Timothy Jon Weaver and his wife, Meredith, and all of their respective families. He is survived by his brother Arthur Labshere and his wife, Ruth, and their children from New Hampshire; his sister Diane Julian and her husband Donald, and their children from Montana, as well as several wonderful cousins, nieces and nephews from Vermont, all of whom he loved so much. He is also survived by four grandchildren: Dylan Penniman, Cheyanne Penniman, Logan Weaver and Tommy Weaver. He also leaves behind a new great-grandson, Wyatt Penniman. Rick was very proud of his time in the U.S. Coast Guard, part of which took place serving in Vietnam. He was also very proud of his long career as a Portland Police Officer, part of which took place serving on the Portland Police Department’s Mounted Unit. Rick later went on to work security with the U.S. Attorney’s office in Portland, and really enjoyed working with everyone there. Rick enjoyed spending time with all of his family and friends. He especially enjoyed the warm relationship he developed with friends at the Cole Farms Restaurant counter in Gray. Rick really loved his sports teams, in particular the Patriots and the Red Sox. He enjoyed working in his yard, taking care of his lawn and hanging out in his “man cave” watching the old-time westerns. He also never missed an air-show opportunity to see the Blue Angels. His greatest enjoyment was sitting on the back porch in the summer and watching the birds that came to the feeders. He could name every one, and he was always right! He also loved listening to the “Oldies but Goodies” rock and roll music. Rick had a great sense of humor and so enjoyed the close relationships he had with his friends. He always looked forward to joining them out for dinners and game night. He loved going camping and playing cribbage whenever the opportunity arose. Rick also enjoyed his membership at the Royal River Rod and Gun Club. Rick will be dearly missed. 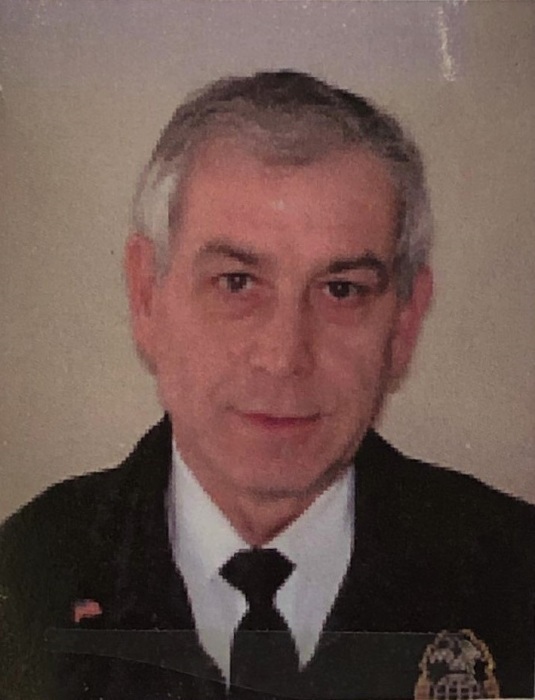 A memorial visitation will be held at the Wilson Funeral Home, 24 Shaker Road, Gray, on Saturday March 23, from 4 p.m. to 7 pm. A graveside service will be held at Brooklawn Cemetery in Portland in the late spring. Please contact the family if you wish to be notified of the date of the graveside service to be held this spring.